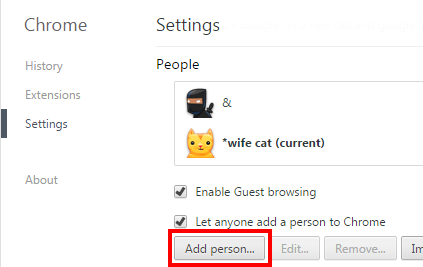 Chrome Profiles allow you to be multiple people at the same time while online. This is super handy. For example, in my Chrome profile I am logged into my personal email and Facebook. I have bookmarks to Trello, Google Calendar, Mint, WordPress, etc. 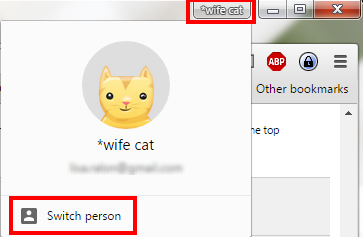 In my husband’s profile, he’s logged in to his sites, and has his bookmarks. 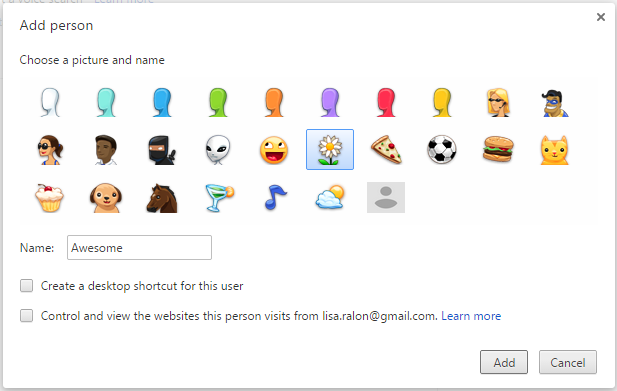 When we use Chrome, we open our individual profiles. This means we never have to play the “can you log out of your email so I can check mine?” game. And all our browsing history and plug-ins and logins are all individual to our profiles so we don’t get lost in each other’s tabs or accounts. It’s so great! Work – I have profiles set-up for each of my main projects/clients. I do virtual EA work and I’ll have a profile for my client if I need to be logged in to their email as well as mine. Testing – Have you ever signed up for a new system and wanted to test how multiple users work within the system? Use profiles to separate the logins. How do I set-up Chrome profiles? To switch between accounts, click on the icon on the top right and then you can select “Switch person.” Choose a user from the pop-up menu and a new Chrome window will open with that profile. Why don’t my profiles have icons on the top left like your screen shots show? 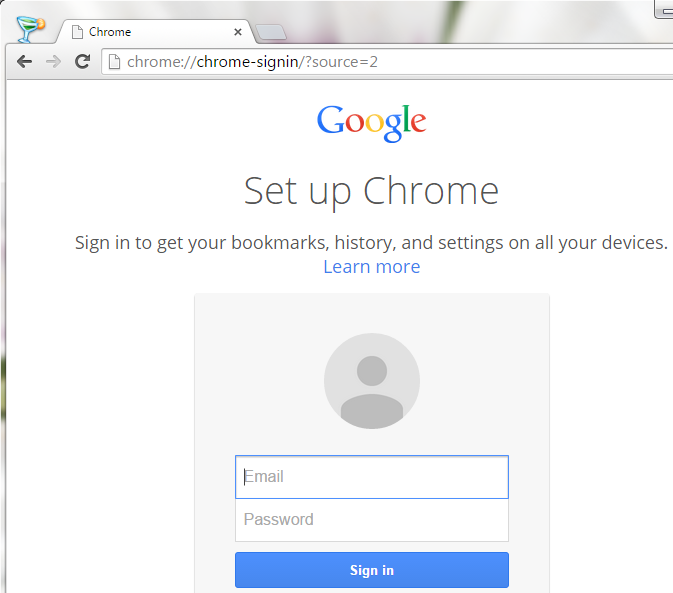 Chrome recently changed the way profiles appear and the colorful icons are no longer shown by default. Instead you’ll see a more subtle text box in the top right. The functionality is still the same. If you want to change it back, click here. Bonus tip: If you login to Chrome, you can share your profile across devices. Great for syncing on your phone, tablet, or between work and home.